Future Race Game | The rules that allow you to race anything! 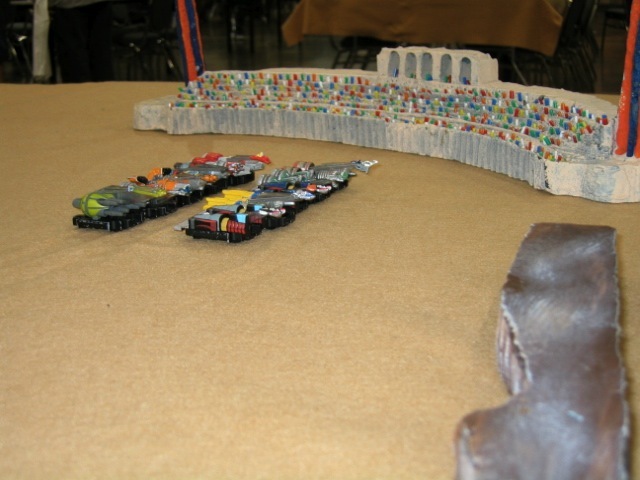 Future Race is a miniatures-based system for recreating racing in the near and far future, as well as the magical past, using miniature figures or popular die-cast toy vehicles. But it’s more than a miniatures game. With the versatile Future Race rules you can race virtually anything. With a ruler and a few 6-sided dice, you can literally race the salt and pepper shakers around your dining room table. New eBook Version of Future Race is Here! Contact the author by email to get a copy of the rules (including extra charts and adapted period rules) by email in PDF format $5 via paypal!